This collection of essays, reflections, and prayers is gathered from over 70 Methodist clergy women under the age of 40, compiled by the five editors named above. The result is a gifted resource that is as varied as seventy women can be, while holding the thread of that particular time of life, and that particular place in which women find themselves over and again in our society, of sometimes grumpy,* sometimes celebratory, oft-times put-upon, regularly resisting and persisting sisterhood. Being at least ten years older than any of the writers, I cannot fail occasionally to recognize the generation gap between us. Still, the specificity and universality of their message to the women with whom they pray is that God is with us all. The book itself is small enough to carry, and to read in a sitting if one had a whole afternoon stretched out ahead of oneself and needed some company during a cross-country flight to find a new job, or a long, slow chemo treatment, or the first day alone after the children start school. More likely, it will be used as a resource for those moments when a certain prayer is needed, a voice of comfort or of challenge while you count to ten. Each essay is a page or so, followed by a prayer which might be a sentence or two, organized into sections of Call, Struggle, Courage, Resistance, Persistence, so that one can always find what is needed quickly and easily. Longer prayers are added in between the essays, for general themes: “A Prayer for Discernment;” “A Prayer for Transformation Through Struggle;” and for very specific needs: “A Prayer for the Unplanned End of Breastfeeding;” “A Prayer When Experiencing a Panic Attack,” for example. They are listed in the contents, for a quick-dip look-up. There is also plenty of extra material to follow up on, should you feel so inclined. Each essay is headed by a quote from the Bible or from some other source, some familiar, others (to me) brand new. I want to learn more now about Sor Juana Ines de la Cruz, with a view to adopting her as my patron saint of sarcasm (see next paragraph). In the meantime, the regular return to scripture is a faithful anchor, and the variety of voices is such that you can choose your prayer companion: whether you need a comforter or a swift kick in the pants, they have you covered. The hidden treasure of this book for me, though, is the wealth of imagery, pairing narwhals and Brussels sprouts (Rev. Elizabeth Ingram Schindler); smashing patriarchy and printers (Rev. Shannon E. Sullivan); describing courage as a pirouette (Rev. Sarah Karber); celebrating the secret virtue of sarcasm (Rev. Angela M. Flanagan). I enjoy these women’s wordplay, and their invitation to play along. I can readily imagine giving this book as a gift to a woman embarking on a new call, a new career, a new phase of family life, or one who, in the middle of it all, is crying silently or aloud for some encouragement. For your chance to receive a free copy of We Pray With Her, leave a comment on this blog before December 1, and make sure that you enter your email address. A random responder will receive an email asking where I can send the book during the first week in December. This deadline has now passed. To order a copy for yourself or a friend, visit the publisher’s website or your favourite book retailer. 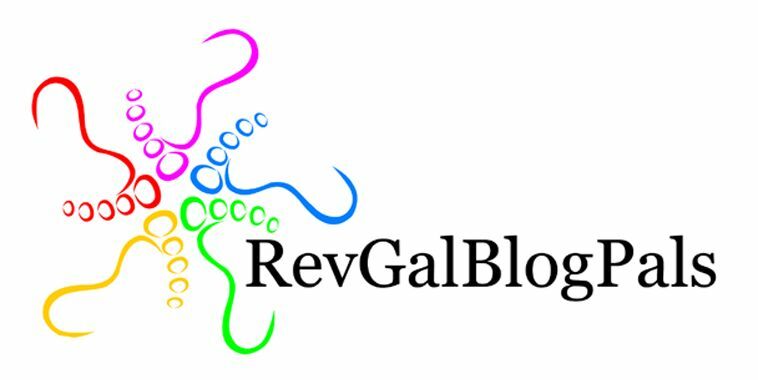 This entry was posted in book review, prayer and tagged free gift, prayer, women, women clergy. Bookmark the permalink. What a wonderful book. I look forward to getting one of my own. I am fortunate to live across the street from one of the book’s contributors, and could not be more gratified to know we are on the journey together! And I’ve heard such good things. Erin, your number came up! Look for an email asking for directions on where to send your copy of We Pray With Her. Thanks! This is amazing, so excited that the proceeds go to help women get the support they need to go through seminary!!! Wonderful!!! This sounds lovely, and so comforting. Sounds like a great book and different from a lot of what’s out there.